Founded in 1925, within the confines of the Sultan Beyazit II Mosque Complex, the Amasya Museum has moved to its current site in 1980. Being one of Turkey’s most outstanding museums, Amasya Museum benefits the location of a beautiful Anatolian city where nature most generously displays its charms. 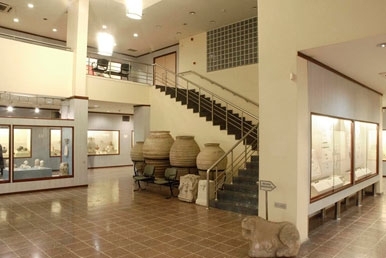 Housing the cultural legacy of eleven different civilizations, the collection of the museum includes archeological and ethnographical findings, in addition to coins, stamps, manuscripts, with the world’s one and only Islamic mummies ever to be displayed.